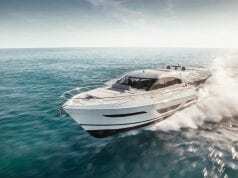 Jeanneau’s Velasco 43 checks all the boxes. Not quite a trawler, not quite a sport yacht, Jeanneau’s new Velasco 43 occupies a niche in the market that will attract attention from a wide variety of boat buyers. And that’s saying nothing of its price tag, which at first glance would seem to be missing a figure. But more on that later. 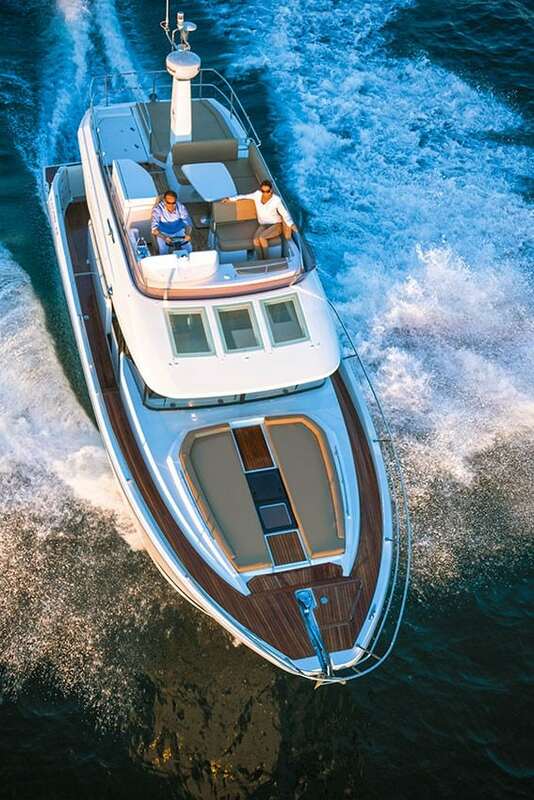 Debuting at the Palm Beach International Boat Show in March, the boat’s appeal lies in a sweet spot at the epicenter of several sought-after qualities. Think back to your math-class days and picture a Venn diagram with overlapping circles labeled “performance,” “value” and “luxury.” The spot where all three circles overlap is exactly where you will find the Velasco 43. 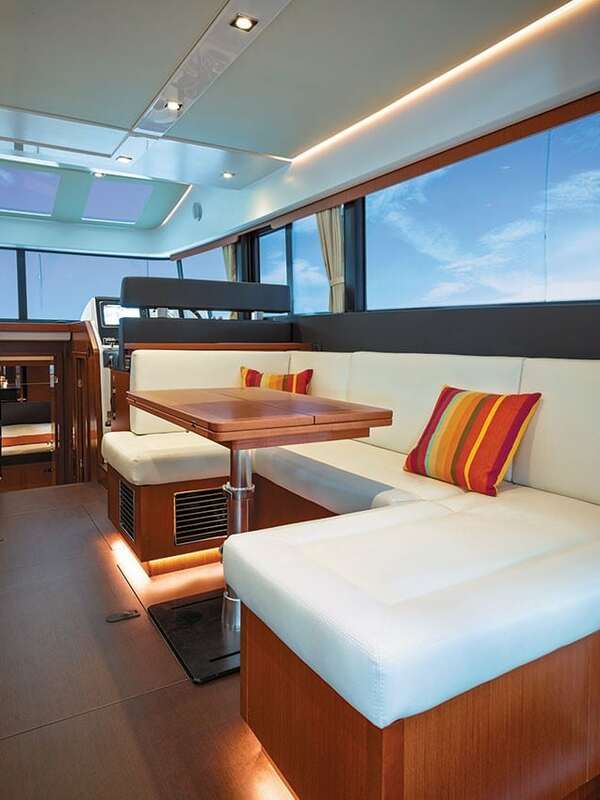 Like sister brand Beneteau, Jeanneau is well known for crafting high-end production sailboats such as the Sun Odyssey series. 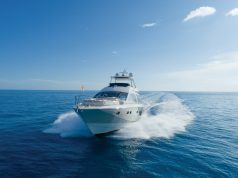 Powerboats are quickly becoming a focal point for the French boat-building powerhouse, however, and it’s easy to see the smarts behind this strategy. Sailing enthusiasts can be a superstitious lot, and as they look to make the trade from sail to power, brand loyalty often enters into play. 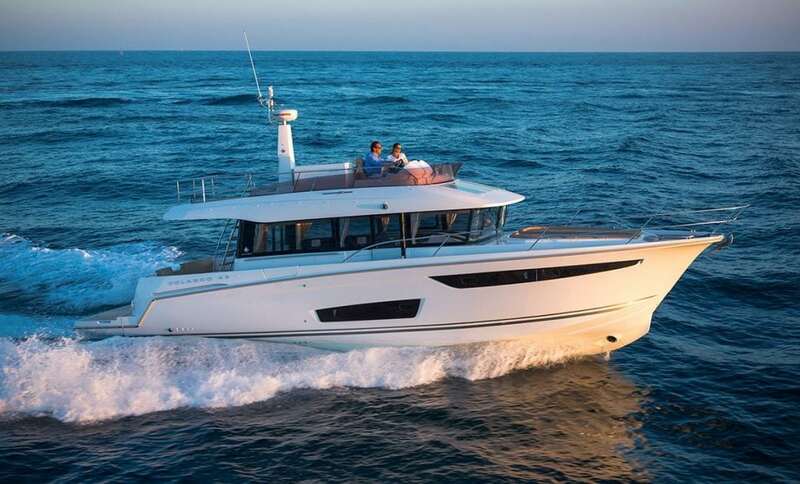 InterMarine in Dania Beach, Florida, exhibited the Velasco 43 in Palm Beach and invited Southern Boating for a sea trial with company captain Tony Pedraja. He’s been with the dealership for two years and driven all manner of boat makes and models. He admits to being “skeptical at first” concerning the Velasco 43’s performance, and adds that despite having the added bulk and weight that comes with a flybridge, it compares very favorably to Jeanneau’s popular NC14 cruiser. 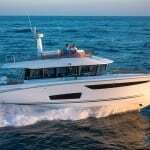 “It’s pretty much the same hull design,” says Pedraja, “which means it’s very economical and runs great at trawler speeds but can also get up to 27-28 knots.” The hull also stays true to the NC14’s exaggerated wedge design, which is intended to minimize bow rise—a hallmark of the Beneteau/Jeanneau family. 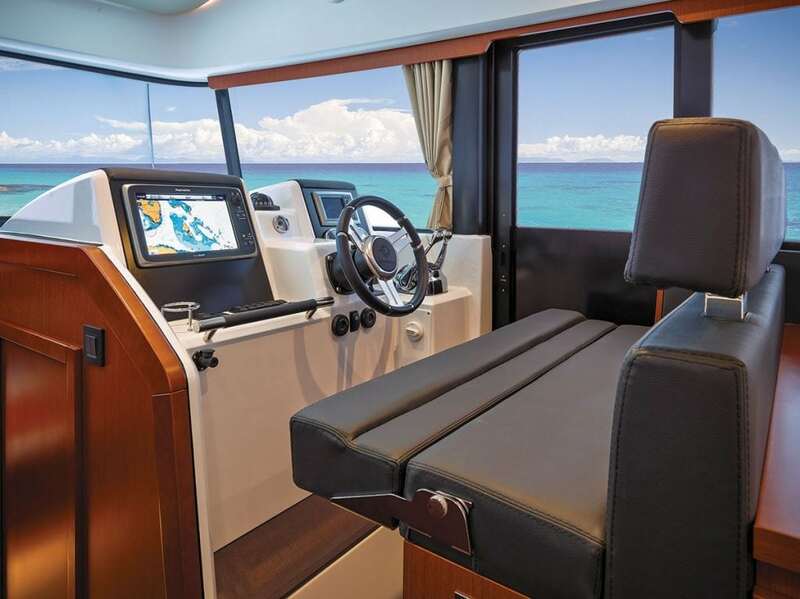 The Velasco 43 features both interior and flybridge helm stations—fully equipped with Raymarine hybrid-touch multifunction displays—but up top is where you want to be. Before you ascend the starboard-side stairs, however, the boarding process is made easy thanks to an optional telescoping, hydraulic gangway. The swim platform is also hydraulically powered, making it even easier to adjust the way the boat is situated at the dock. 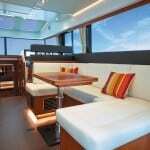 The aft deck area is roomy enough for lounging and casual socializing but could feel a bit cramped when the table from the saloon is added to the mix. While we’re on the topic of tight spaces, the asymmetrical side decks make some dance moves necessary as you progress forward to the bow. The starboard side deck is a fairly reasonable 15½ inches wide, but on the port side the passageway width narrows to 12½ inches. It shouldn’t be a problem for most people—just something to be aware of. 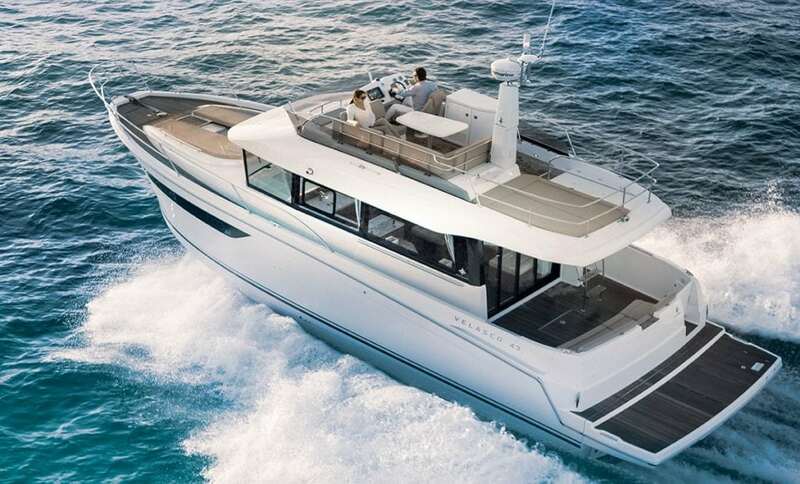 However, Jeanneau ameliorates this compromise via several features, such as a sliding door on the starboard side that allows the helmsman to step out directly onto the side deck—a welcome advantage at the dock. Also, Jeanneau has substantially exceeded American Boat and Yacht Council (ABYC) safety standards with the height and thickness of the toe rails and handrails along the side decks and bow, so there’s very little chance of losing your footing in these areas. Dinette converts for extra overnight guests. A well-equipped galley offers convenient access. 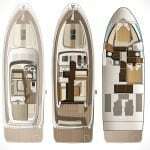 Arrangements for the Jeanneau Velasco 43 offers many options. The helm keeps the skipper close to guests. 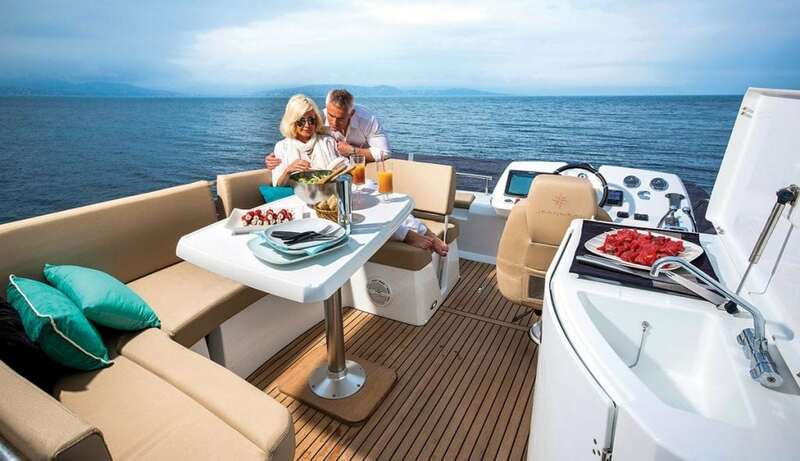 The flybridge offers plenty of room for entertaining. 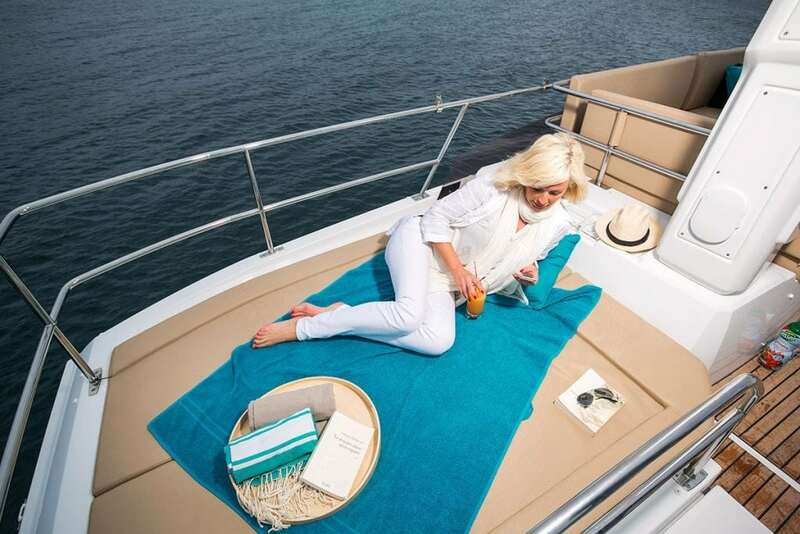 Bump up your tan on the sun pad on the flybridge. The Velasco 43’s lines are good-looking. There’s room for two on the bow sun pad. 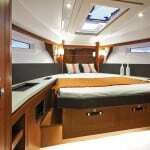 Queen master forward invites light through panoramic hull windows. 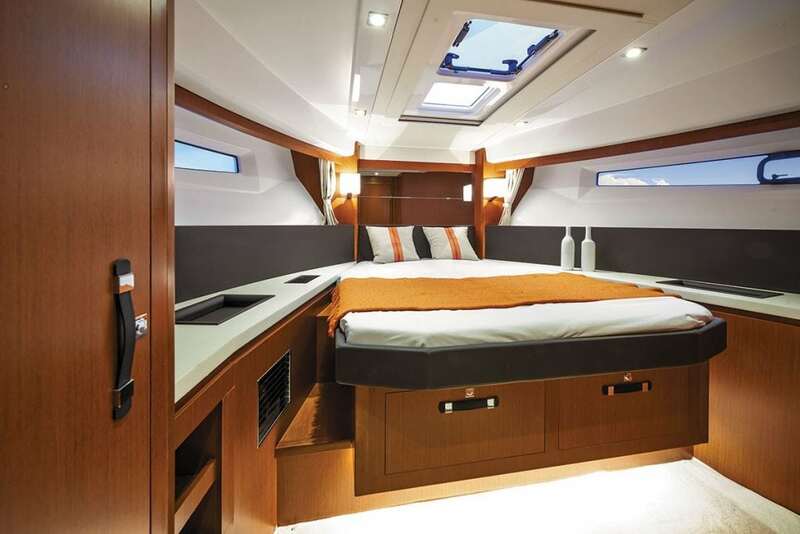 The foredeck boasts one of the boat’s many outstanding creature comforts—a huge sunpad with a cover to protect it from the elements and handrails on either side in the case of a bumpy ride. This area of the boat should get a lot of use, so Jeanneau also included a bow platform with ladder as an optional feature. The review model was fitted with optional teak decking on the foredeck, side decks and cockpit sole. Teak is standard on the aft platform. The salon is laid out nicely with the galley to port, just forward of a chaise lounge that adds a bit of European flair to the interior. 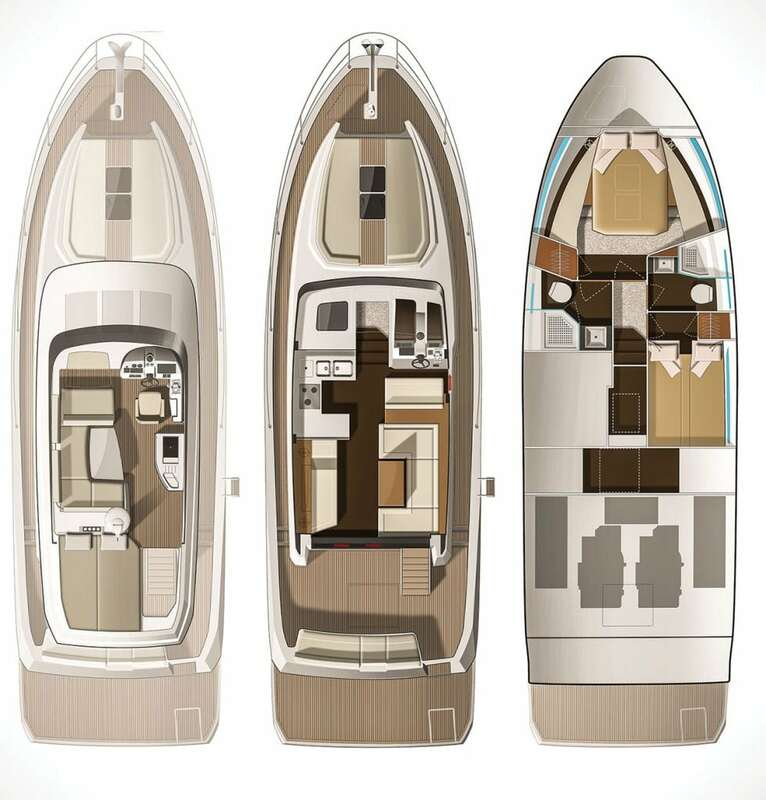 It’s a feature we’re seeing more of as builders—especially those with Continental pedigrees such as Jeanneau and Beneteau—strive to introduce variety to vessel accommodations. It’s hard to lie down and relax on a U- or L-shaped settee with a dinette table in the middle, so introducing an amenity like a chaise lounge is a welcome design choice. You sacrifice some space in the galley, but overall, it’s worth it. And not to fear: directly across from the chaise lounge is a U-shaped settee for dining and entertaining. 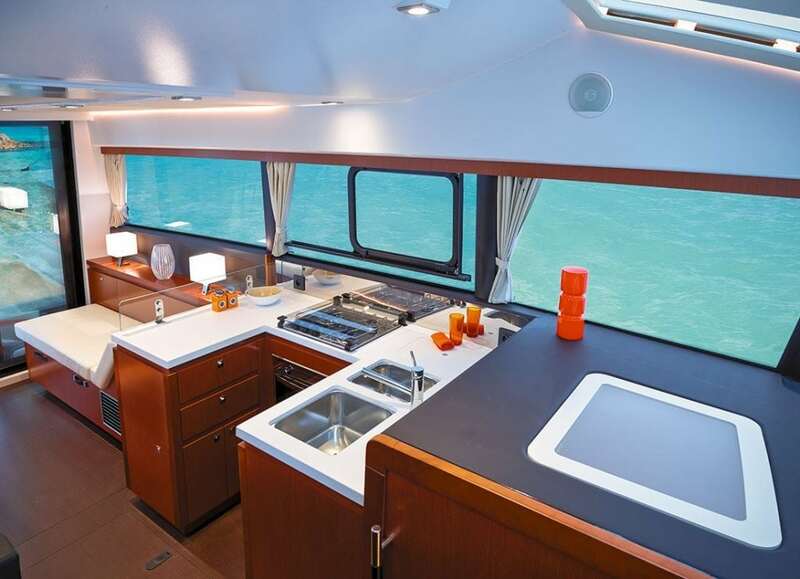 The galley itself has everything you’d need for extended cruising, including two stainless-steel sinks, a GE microwave, Kenyon two-burner stove, and eight cabinets/ drawers. A convection oven and dishwasher are available as options. The refrigerator is cleverly placed opposite the galley below the helm seat. Opening a hatch in the saloon sole between the dinette and chaise lounge reveals an area for a wine cellar or freezer, or just additional storage. It also provides access to the engine room if for some reason the main access point in the cockpit is not available. Another below-deck storage space between the galley and helm houses a washer/dryer. 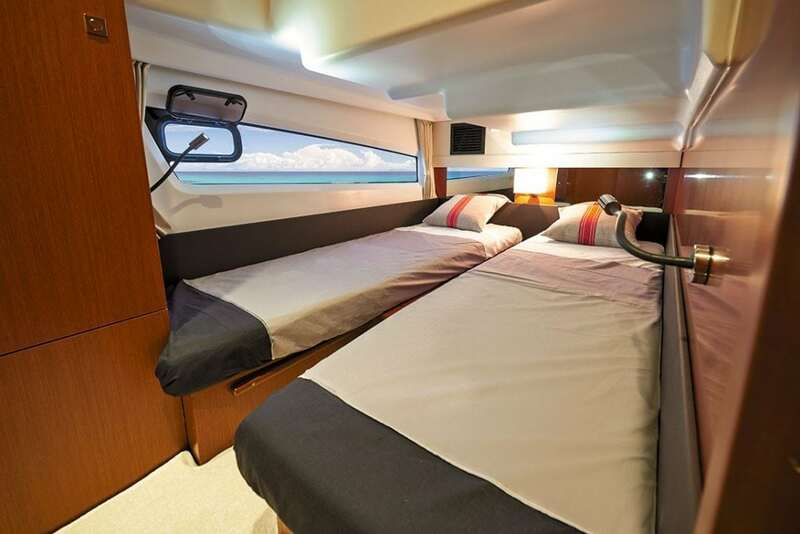 Below deck, a guest cabin to starboard is fitted with twin beds, while forward the master boasts a queen berth and full ensuite head along with CruiseAir temperature control panel for maximum comfort. A guest/day head is located just forward of the guest cabin. 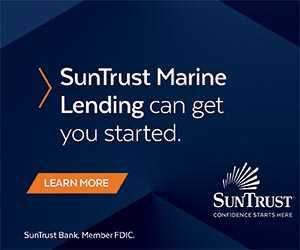 Both cabins benefit from a full complement of standard features—reading lights, mirrors, hanging lockers, portholes, removable carpet, and panoramic hull windows, to name a few. 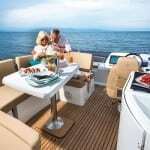 Cruisers looking for a boat with more guest accommodations need not rule out the Velasco 43 as the dinette table in the saloon can be removed, and an additional cushion added to the settee to create a double bed. 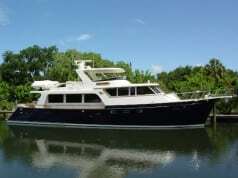 The flybridge is the highlight of the Velasco 43. This particular hull lacked some of the optional features, but it did have the all-important, greatly appreciated bimini for shade from the unrelenting Florida sun. The adjustable helm seat offers supreme comfort for the driver of the boat, and to port, a reversible bench seat is just as accommodating and even sports the added benefit of a footrest when facing forward. Facing backward, the bench seat becomes part of a U-shaped settee wrapping around a dinette table. 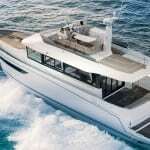 The Velasco 43’s performance was a pleasant surprise, topping out at 27.8 knots at 3070 rpm during our sea trial. It was kind, forgiving and steady in turns, with no unwelcome tendencies to speak of. We found 8 knots to be an excellent cruising speed, at which the engines sipped only 1.66 gallons per hour. 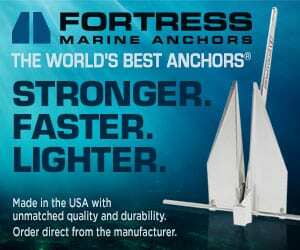 And thanks to the sharp, responsive engines, tight maneuvers such as spinning the boat in its own length are stress-free and easily accomplished. 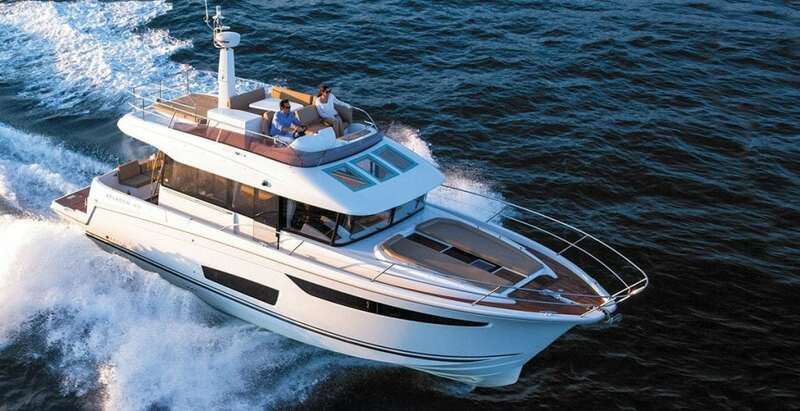 Whether you’re in the market for performance, economy or luxury, Jeanneau’s Velasco 43 is a tough package to beat. The price tag might indicate otherwise, but this is a boat that is absolutely packed with value.